Review: NativeCamp does hire non-native teachers including a good amount of Filipino teachers. They do have a large amount of negative reviews due to having a low salary and robotic type work environment. They have their own application that you will teach from. NativeCamp. is a Japanese company. We are one of the largest online English language schools in Japan.NativeCamp. operates all over the world. NativeCamp. offers home-based jobs to Filipino teachers in the Philippines. Save money, time, and energy and work in the comfort of your home. You can work full time or part time. Work on your spare time productively and enjoy the benefits our growing company provides. You will plot your own schedule according to your convenience. You can choose and decide your working hours anytime you want. No maximum working hours. NativeCamp operates 24 hours. Conduct online lessons using NativeCamp’s high-performance application developed by NativeCamp. They have own platform. The whole application process is done online (i.e. exams, demo lesson, and so on) . No need to visit the office. No resume needed. No interviews and trainings. No experience needed. Your account can be activated within a day only. NativeCamp. 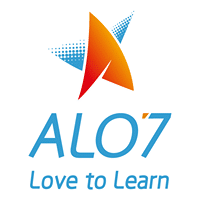 is the most famous online English language school in Japan and the Philippines. The students are all Japanese (beginner, middle and advanced level). They are polite and very nice people. Earn as much as Php20,000 – Php60,000. Depending on your working hours, some incentives will be offered as well. Tutor Fee – P60/25 minutes = Tutor Fee (Booked Slot) and P55/25 minutes (Sudden Slot). Incentives – Php 2,200 bonus after completing 100 lessons within two weeks after the activation of your account. (Only for newly hired teachers). Php 550 incentive after you have completed 100 lessons (booked and sudden class) within the cut off period. Php 550 incentive after you have completed 20 booked lessons without your side’s cancellation within the cut-off period. So, you will get a total of Php 3,300 on top of your salary once you have completed all the required number of lessons in two weeks time after the activation of your account. Promos and incentives every pay period. On time & secure payments via bank transfer BPI or PNB (tutor Fees are paid every 15th and the end of the month).